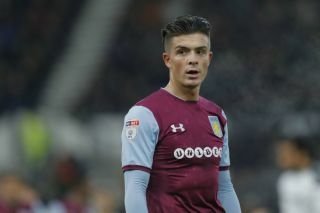 Despite plenty of speculation over his future, Tottenham target Jack Grealish remained at Aston Villa beyond Thursday’s transfer deadline. The 22-year-old was a key figure in Villa’s push for promotion last season, but it ended in disappointment as they suffered defeat in the Championship playoff final to Fulham. In turn, with another year in England’s second tier ahead, it naturally raised doubts over their ability to keep their best players, but the transfer deadline came and went on Thursday evening and he remains at Villa Park. Steve Bruce has since commented on the matter, and he has essentially challenged Grealish to be the figurehead for Villa moving forward and inspire them towards getting back to the Premier League for next season. Grealish was key in Villa’s opening game win over Hull City on Monday night, and he’ll now be able to focus on his football until January at least without talk over his future. However, according to The Sun, the club may be put under intense pressure again in a few months time, as it’s claimed that Grealish will have a £30m release clause inserted into his new deal, which is only £5m more than what Spurs are said to have bid for him. Whether or not the move is reignited in January remains to be seen, but for now, the only thing that Grealish, Bruce and Villa can focus on is continuing to win and move themselves closer towards their objectives for as long as the player remains with them.